Buying used just isn’t cool—that is, unless you’re a wealth builder. Many of them look upon buying used as more of a badge of honor than an embarrassment. Certainly, there are many items that are best purchased new. Toothbrushes, toilet paper, and underwear come to mind. Yet there’s one thing that’s almost always better to buy used—a vehicle. Let’s look at a few common myths around buying a new car. 1. “Buying a used car is just buying someone else’s problem.” That can certainly be true if you don’t do your homework. 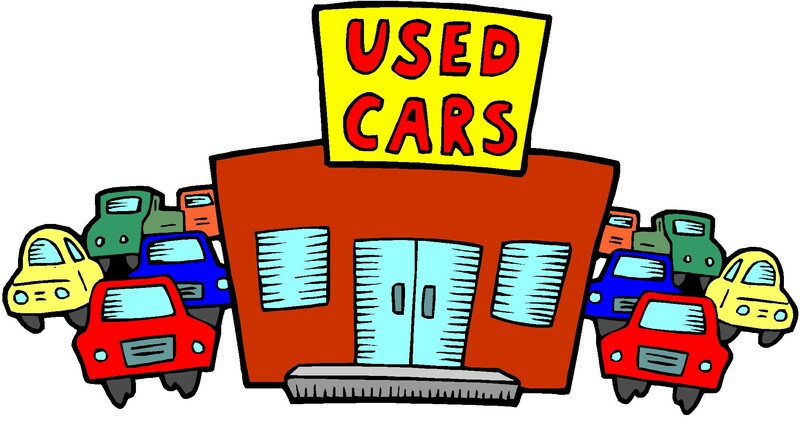 When shopping for a used car, be sure you research the model’s repair record. The best place for this is Consumer Reports. An inexpensive online subscription will give you loads of detailed information about every year, make, and model. 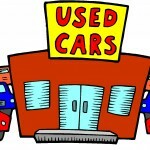 Narrowing your search to the top used car values will significantly increase your odds of buying a great used car. Before writing a check for even a top-rated used car, take it to a trusted mechanic for an evaluation. The money you spend will be well worth the future headaches you save. 2. “Never own a car that is out of warranty.” This is a good idea only if your heart is set on owning one of the many cars ranked as the least reliable. The warranty will come in handy because the car will spend a significant amount of time in the shop. Also, the value of a new car drops rapidly in the first few years. If instead you buy a used vehicle with a high reliability rating the warranty become less important, especially when you consider you’ll be getting a third to half off the sticker price. If you buy a low-mileage, late model car, your savings will be enough to more than pay for the few times you may need to take it into the shop. 3. “When a car hits 80,000 miles it’s time to get a new one because it will start costing an arm and a leg to maintain.” Once again, a top-rated used car will often run reliably for well over 120,000 miles if it’s maintained. Yes, the maintenance will increase, but the rapid depreciation of a new car will cost much more than maintaining an older car. Wealth builders routinely buy late model cars with low mileage and own them for 10 years or more. 4. “I can get a lower interest rate and longer term loan on a new car.” Here’s my rule of thumb: If you need a loan to buy a new car you are probably buying too much car. Those who manage money well create a savings account for replacing their vehicles. That way they can pay cash for a car and drive the best deal. If you must get a loan, borrow as little as possible and pay off the loan quickly. A higher interest rate on a shorter term loan on a used car is still a much better deal than what you would lose in depreciation on a new vehicle. Americans have a love affair with their cars. Still, for most of us a new car is a luxury, a big splurge best purchased after we’ve attained financial independence. The best way to travel the road to that financial independence is in a used car. 9 Responses to What Do Future Millionaires Drive? Thanks for an excellent article which helps reinforce my view that you will save money by not buying new and by researching potential vehicles. Our current ‘newest’ vehicle has 86,000 miles on it while the highest mileage one has 170,000. Yes they do cost a little more in repairs, however, these costs pale in contrast to deprecitaion and interest costs on a new vehicle. Finding a good mechanic is key to driving a ‘preowned’ vehicle. And as Rick’s article points out, always have any vehicle you are considering checked out, before you buy. AUTO REPAIR REFERENCE CENTER – Provides a comprehensive resource for automotive diagnostic and repair information including access to the latest Technical Service Bulletins. and FREE access to CONSUMER REPORTS. Also talk to your trusted repair people who sometimes feel that CONSUMER REPORTS may favor imports when in reality the regular maintenance on imports costs more than domestic models. Valid points HOWEVER our new vehicle is doubling our mpg, has blue tooth, a better GPS as well as many more features you just can’t get holding on to an older car. I enjoy hearing people brag about their 120,000 miles on a car but it would take us 25 years to get that mileage. Meanwhile, the new electronic advances would be passing us by. Since we drive long distances twice a year, we feel we did the best for our situation by buying a new car and trading in our old one. So, both sides have merits. Some excellent points, thanks! I would guess buying a car that you will never sell and that reduces your gas expense by 50% is a deal almost any financial planner can get on board with! The 1996 Dodge (Al Bundy and I have one thing in common) has 258,000 miles and makes the 70+ round trip to work every day through sun, rain, sleet, and snow. And yes, my mechanic and I are on a first name basis! I don’t have much knowledge about cars. For me it is very ideal to invest into something new. Buying a second hand car is like buying a problem that gives you so much stress and make you spend so much money in the end.